Oh this can't be good. 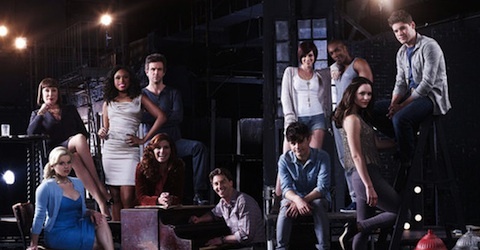 NBC has announced that the theater-themed drama "Smash" is continue its remaining episodes on Saturdays beginning April 6th. While this is an unfortunate sign that the end is near, fans are probably thrilled that the remaining episodes will air as opposed to being yanked. What do you think? Will you watch it live or will it officially be a DVR only show?